These days, a lot of government projects are undertaking in the city and tracking each and every project’s progress is not easily possible for officers. 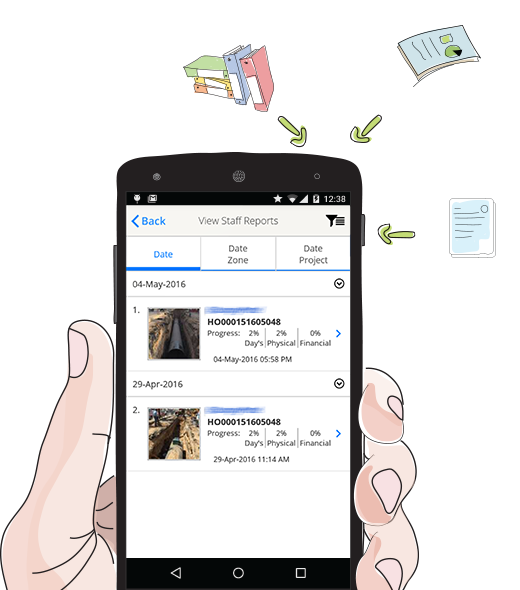 However, it is also not possible for seniors to check paper-based reports of all the projects; therefore, Project Tracking module is the right solution that enables officers to generate project reports using their smartphone. They can create report filling complete information about the project like a photo, location, physical and financial progress in %, and remarks if any and submit it directly from the field. How Does the Project Tracking Module Works? The Project Tracking module is a highly scalable cloud-based module that can be used by field engineers and officers to track the projects of the city. Comes with easy-to-use and pre-defined forms and menus, the module has made it easy to generate project tracking report with complete information. It enables field officers to make project tracking report with accurate data like financial value and project progress. Allows field officers to access accurate data and information from all aspects of the project. The solution has made it easy for officers to make real-time project report with required information. Senior officers can track the progress of the projects and communicate directly with concerned officer. Project Tracking module has replaced the traditional method of making project reports with the new way of generating reports digitally. 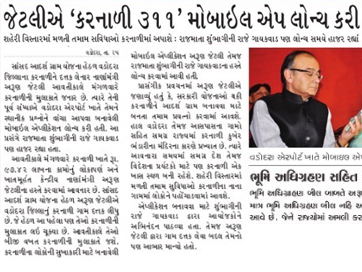 Senior officers and authorities can track down the physical and financial progress of all the projects. Our backend system is cloud-based and there is no software that one needs to maintain. Senior officers can easily access the project tracking reports anytime using the Internet. 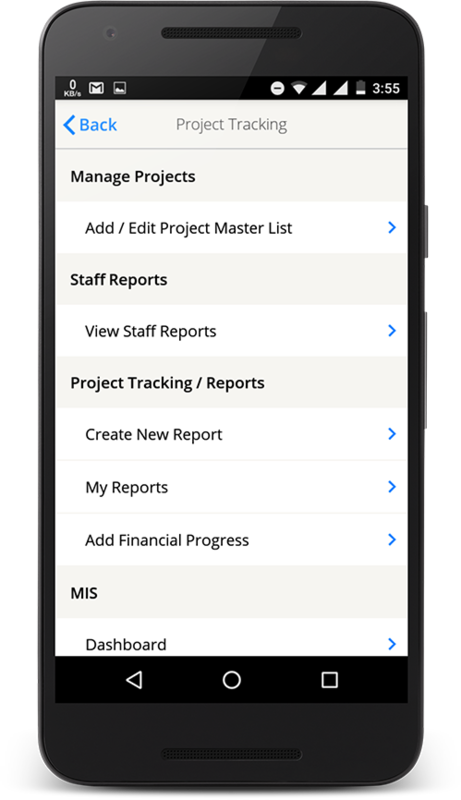 Admin will get the access to project reports of all the field officers and track the progress of project. Additionally, project reports can be exported to different formats, giving officers easy integration with Payroll system. Admin and senior officers will get each accessing to complete data and information of the field officers. They can access all the reports that submitted by officers and get required information anytime and anywhere. Senior officers can easily track down the progress of all the projects that are commenced in the city. They can track down the physical and financial progress of all the projects and manage everything a lot easily.